All right, I think I've got this to a point where it can be viewed by others! 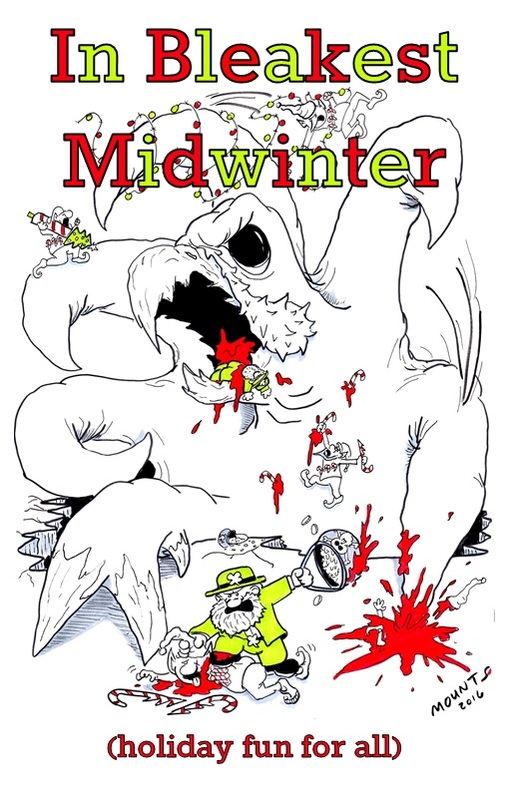 Here's my meager gift to the OSR community this holiday season...a little adventure called In Bleakest Midwinter. 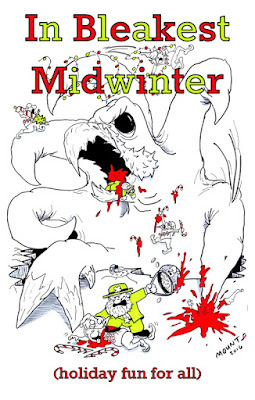 This is a venture into funnel-type adventuring, inspired by David over at The OSR Library. It features artwork by my talented buddy (and the nicest guy you'll ever meet) J.R. Mounts (and you should check out his newest project, Stuck In My Head!) and a map taken from the freely usable stock of the incomparable Dyson Logos (probably also a really nice guy). The PDF is A5-sized and will probably print decently doubled up on standard paper. There are even front and back "covers" if you choose to go about it that way. Any and all fixes and feedback are welcome. Happy Holidays, all! Just skimmed through it. This looks like a lot of fun. Excellent work, my friend. Thank you! Happy holidays to you!